Buy LadyErynn a Coffee. ko-fi.com/ladyerynn - Ko-fi ❤️ Where creators get paid by fans, with a 'Buy Me a Coffee' button. Hello! 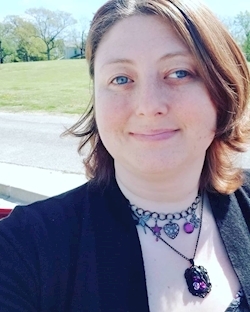 My name is Erynn, and I'm the owner of LadyErynn.com! I write poetry, short fiction, informative articles, and other miscellaneous categories. I also dabble in photography and will often use my own photos as illustrations. I hope you enjoy my work! If you enjoy my writings and would like to see more, please consider buying me a coffee! All proceeds will go towards keeping the Crittenden Chronicles up and running, buying new equipment, and (believe it or not) fueling my coffee addiction! Secured Payments. Support goes to LadyErynn's account. Writing takes a lot of time and computer power, especially if you have to have something on in the background (like I do!). My goal is to get a new desktop with serious multi-tasking capabilities! Any help is appreciated! Thank you! Upgrade LadyErynn to a yearly Gold Membership with a one-time payment.